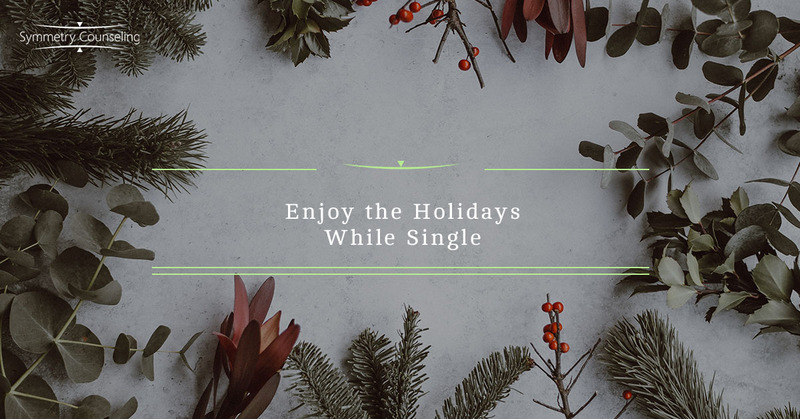 It is not easy being single during the holidays because all the movies on the Hallmark channel (and really, all channels) are romantic movies and we just want to be cuddled up on the couch with someone watching those movies together, instead of alone. Your friends are all going to their significant others’ homes for the holidays and you are at home alone. None of your friends are free as they are doing “cute” stuff with their partners. In case you are not aware of this, you too can do things that are enjoyable during the holidays! This is the best time to take solo trips. Everyone is busy and you do not have to go with anyone’s schedule and you can do whatever you enjoy doing. No one can tell you where to go or what sites to see. You will be able to immerse yourself in a different culture and environment that will help you grow as an individual. Sometimes bigger places are closed, so you will have to go smaller mom-and-pop restaurants and mingle with the locals. You get to be selfish. This is a great time to take care of yourself and do what you want to do. You do not have to adhere to anyone’s schedule and you can do whatever makes you happy. You can sleep in, spend money on your self, and build healthy relationships. Just like in the selfish point, you get do what makes you happy. Find a new hobby to start doing. Take advantage of this time when people are busy and you can just do what you want to do without anyone changing your plans. Start a new tradition for yourself. Ever since childhood, people always told me that not everyone is as fortunate as you and there are children all the over world who are not getting presents or the joy of the holidays. During the holidays, I would always volunteer a few times to give back to the community and to the less fortunate. Go volunteer at a food pantry or give back to a charity in need. Being able to give back to others helps you be grateful for all that you have. All of your friends might be coupled up or busy, but you can always plan on throwing a party at either your home or out somewhere right before the holidays or right after the holidays. You get to show off your party planning skills and also enjoy time with your friends. You do not have to have a reason to throw a party; just throw a “just because” party. Being alone during the holidays is not a bad thing, as you are able to focus on yourself and do what you want to do while your friends are having to meet extended family and present themselves in a different way. They might not be jealous of you of not having to go and pretend to be someone who they are not and being on their best game. Take this time to engage in a lot of self-care and identify for yourself what you enjoy doing. If you are not happy with yourself, no one else can make you happy. If you feel like you are starting to struggle with the holiday season, feel free to reach out to our awesome trained therapists to discuss what concerns you might have and how you manage the holiday season.